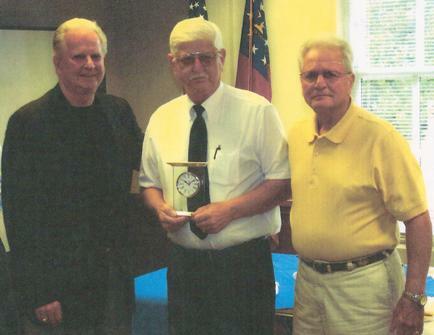 Greg worked for the Oconee Sheriff�s Department from 1979 to 1986 under Sheriff Charles Holcomb. Over the years, I got to know Greg well and consider him a good friend. I helped him with his ham radio club and other issues over the years. He is a special & long-time friend who has worked with recycling in recent years. 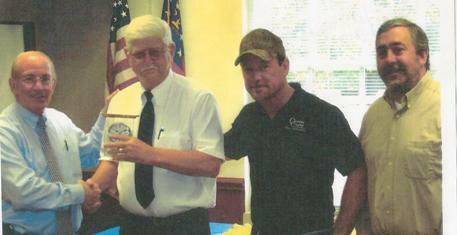 Greg Evans, native of Dark Corner in Oconee County, recently retired with 26 years of service to Oconee County. Greg worked for the Oconee Sheriff’s Department from 1979 to 1986 under Sheriff Charles Holcomb. He was radio dispatcher and worked out of the Old Jail behind the courthouse. Over the years, I got to know Greg well and consider him a good friend. I helped him with his ham radio club and other issues over the years. He is a special and long-time friend who has worked with recycling in recent years. Greg and I have been close for decades and his mother, Gwen, and I became friends at Mulberry Grove Assisted Living in Statham. Greg spent 19 years with the Road and Sanitation Department. He performed various duties: recycling, sign maintenance, gas tanks maintenance and general utility worker. While Greg dealt with some health issues, he was a faithful and committed employee. Greg attended Carrithers Grammar School and Oconee County High School. Greg is the son of the late Gwendolyn Boyd Evans & the late Jesse M. Evans, of the Hebron Church area of Oconee County. Greg has five siblings:brothers Larry Evans of Winder, Ronnie Evans of Cartersville, Harry Evans of Loganville and sisters Pat Peters of Fayetteville, GA, and Kathy Mitchell of New Orleans, La. He was a faithful visitor to Mulberry Grove Assisted Living where his mother, Gwen Evans, lived her last years. We meet special people in our lives in surprising ways. I knew Ms. Gwen Evans, a resident of Mulberry Grove Assisted Living in Statham, for several years until her death on January 20, 2009…….